On 7 May 1899, in a ceremony before M. Clairet, the Mayor of Seine-Port, Prince-Abbot Louis-François transferred all his titles to Mgr. Joseph-René Vilatte (Mar Timotheus) (1854-1929), Archbishop of the Old Catholic Church of America, who took the regnal name of Joseph III. Mgr. Vilatte was a Frenchman who had been ordained priest in the Old Catholic Church (which formed in 1870 in opposition to the First Vatican Council). Having been elected by his own Old Catholic synod in Wisconsin he was then consecrated to the episcopate by order of the Syrian Orthodox Patriarch, not as a Syrian Orthodox bishop, but as Metropolitan of the Old Catholics in America. This action aroused the enmity of the Anglicans and Roman Catholics in that region, who saw Mgr. Vilatte’s consecration as an incursion into their jurisdictions, and through a combination of malicious propaganda and active intervention they did much to destroy the parishes he had built up. Mgr. Vilatte had been introduced to Prince-Abbot Louis-François by Dom Jean Parisot of the Benedictine Abbey of Ligugé at Poitou. Dom Jean, who in 1896-97 had been dispatched by the French Ministère de l’Instruction Publique to research the Syriac language and to transcribe the music of the Syrians, Maronites and Chaldeans, would go on to write one of the first biographical studies of Mgr. Vilatte (see Historic Documents page). The transfer of the Abbey-Principality to Prince-Abbot Joseph III marked the departure of the jurisdiction from Roman Catholic control. 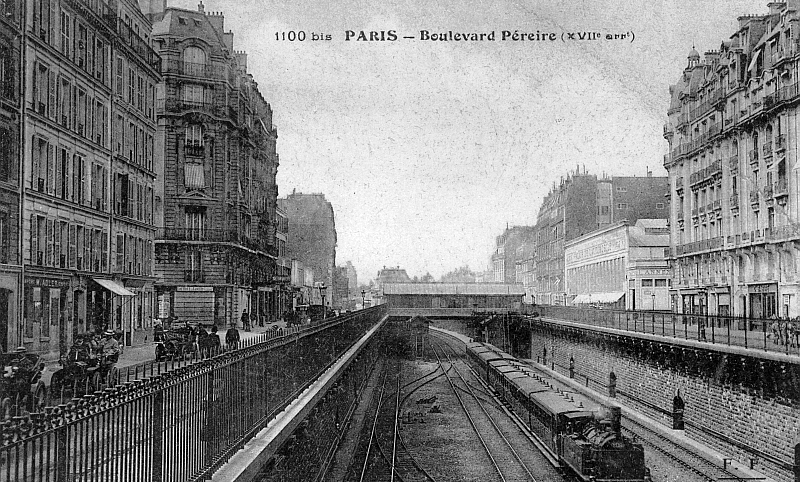 The new Prince-Abbot established a residence at 199 Boulevard Pereire, Paris (destroyed in 1918 during the war), which he renamed San Luigi House. In 1900, the house provided hospitality and services for visitors to the Exposition Universelle in Paris, some of whom later became members of the San Luigi Orders. An inveterate traveller, Prince-Abbot Joseph III divided his time between Europe and the Americas for the remainder of his career. After he had gone abroad in 1901, Fr. Eugène Prevost, founder of the Fraternite sacerdotale et des Oblates de Bethanie, became the tenant of San Luigi House. Prince-Abbot Joseph III had in 1892 received the Grand Mastership of the Order of the Crown of Thorns, revived under the Syrian Patriarch Ignatius Peter III in 1891, which he now united with the separate but identically-named Order of the Crown of Thorns founded by Prince-Abbot Henrice in 1883. He regarded the 1891 Order as having priority because of its connexion with the Syrian church responsible for his consecration, with which he maintained relations throughout his episcopate. He likewise received via the offices of Prince-Abbot Louis-François the headship of the Grand Prix Humanitaire de France et des Colonies, founded in 1892, which became the Cross of Merit of the Order of the Crown of Thorns, and the former President of that award, M. Louis Druel, was subsequently listed as one of the Patrons of the Order. All the San Luigi organisations and the Grand Prix were united by Prince-Abbot Joseph III under the overall administration of the Order of the Crown of Thorns. He established the Order of the Crown of Thorns as open to baptised Christians only, while those of all religions were admitted to the Order of the Lion and the Black Cross. Prince-Abbot Joseph III was formally installed as Prince-Abbot and Grand Master of the Order of the Lion and the Black Cross in the chapel at San Luigi House in 1900. 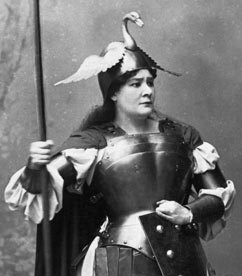 His appointments to the Order of the Lion and Black Cross included the famous contralto Ernestine Schumann-Heink (pictured left as Waltraute in Wagner’s Ring), Marie Louise Montague, the President Founder of the International Humanity League, Hon. John Steele Henderson, United States Congressman, Paul Carson, the organist, and Allan Roy Dafoe, the obstetrician who delivered the first quintuplets to survive infancy. Of these, Schumann-Heink, Carson and Dafoe also received the Grand Prix Humanitaire de France et des Colonies. On 12 February 1899, Prince-Abbot Joseph III had formally entered a petition to the Vatican for acknowledgement of his appointment as Prince-Abbot in succession to the 1883 foundation, hoping that he could thereby reconcile with that church and be recognized in his new office. No response to the petition is recorded, which is not surprising since at that time the Holy See regarded Prince-Abbot Joseph III as a threat to ecclesial order. On 13 June 1900 he was excommunicated by Pope Leo XIII. This event set in train a vicious series of partisan attacks upon Prince-Abbot Joseph III and the origins and nature of San Luigi in the Roman Catholic-supporting quarters of the French press, designed to discredit both with no regard for truth or fairness. Such was the heat of the controversy that Prince-Abbot Joseph III spent a good part of the ensuing years abroad. Prince-Abbot Joseph III made numerous appointments to the Order of the Crown of Thorns. Listed among its Patrons in the official History of 1922 are the Syrian Orthodox Patriarch, Ignatius Peter III, and Syrian archbishops St Mar Athanasius Kadavil of Kottayam, St Gregorius Geevarghese of Niranam (Parumala Thirumeni) (pictured left) and Mar Julius I Alvarez of Colombo (who were all consecrators of Prince-Abbot Joseph III), Bishop Uramchabank Kibarian of the Armenian Church in Paris, Archbishop Vladimir (Sokolovsky) of the Russian Orthodox Church, Archbishop Khorene Nar Bey de Lusignan, Armenian Archbishop of Constantinople, James Theodore Holly, Episcopalian Bishop of Haiti (and the first Black bishop in the Episcopal Church), King Achille (Aquiles) I of Araucania and Patagonia, and Minas Tcheraz, Professor of Armenian Studies at King’s College, London. In addition to these, there were 148 further ecclesiastical members and 420 lay members. During this period, the Abbey-Principality preserved the sovereign jus majestatis deriving from the 1883 foundation, which permitted it to confer titles of nobility as well as chivalric distinctions, and asserted additionally that this right had been conceded in the 1892 grant by the Patriarch of Antioch of the Grand Mastership of the Order of the Crown of Thorns. Most prominently, the Abbey-Principality conceded the title of Prince of the Crown of Thorns or Prince Religieux to the members of the third class in the Order of the Crown of Thorns (see the 1900 and 1922 Statutes) This practice was ended by Prince-Abbot Edmond I during the 1930s when the title of Prince was replaced by that of Prelat. In 1922, the first full history of San Luigi, in “Ordre Chevaleresque et Religieux de la Couronne d’Epines (The Knightly and Religious Order of the Crown of Thorns): History and Regulations,” was published in Chicago. In 1925, his work as a prolific church-planter having come to an end and having previously made provision for the succession to the Abbey-Principality, Prince-Abbot Joseph III returned to France and reconciled with the Roman Catholic Church, which remitted his earlier excommunication. The Apostolic Nuncio in Paris, Mgr. Bonaventura Cerretti, caused to be published in the “Bayerischer Kurier” (11 July 1925, no. 189) a statement in which he affirmed the validity of the diaconal, priestly and episcopal orders that Prince-Abbot Joseph III had received so far as the Roman Catholic Church was concerned. Prince-Abbot Joseph III also caused to be published a reciprocal statement in which he expressed regret at having received Holy Orders outside the Roman Catholic Church and conferring them upon others. However, both before and after this, he took great care to ensure that the work he had established outside the Roman Catholic Church would continue after his death. After his reconciliation with the Holy See, Prince-Abbot Joseph III retired to the Cistercian Abbey of Sainte Marie du Pont-Colbert in Versailles, where he lived in a cottage in the grounds and had permission to wear episcopal dress. He received a pension from the Roman Catholic Church of 22,000 francs per annum. 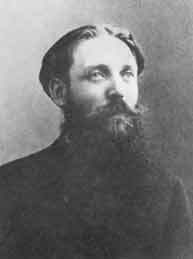 He died on 1 July 1929. Prince-Abbot Joseph III’s successor was the Grand Chancellor of the Order of the Crown of Thorns, Bishop Francis John Edmond Barwell-Walker (who adopted the regnal name Prince Edmond I) (1881-1963). He was consecrated bishop by Prince-Abbot Joseph III on 1 June 1923 and appointed by him in a document of 25 May in the same year to succeed him as head of the Order of the Crown of Thorns and related entities upon his death. Barwell-Walker was the last bishop to be consecrated by Prince-Abbot Joseph III. He was an Englishman, born in London, educated at the Universities of Durham and London as well as in the USA, and an elected Fellow of the Royal Society of Arts, who had emigrated to the USA and was at one point considered for the episcopate in the Episcopal Church. During his final years, Archbishop Vilatte worked very closely with Archbishop Jean Bricaud (1881-1934) (pictured left) and his wife-to-be (they would marry in December 1929) Eugénie-Antoinette Allemand (1884-1958) to ensure that his papers, journals and other valuable objects could be conveyed in secret to safekeeping in the United States without the Roman Catholic authorities’ knowledge. In addition to this physical legacy, a further spiritual legacy was attached to the Order of the Crown of Thorns through this process, and this heritage was active under Archbishop Lowell Paul Wadle (1900-65) of California for some years under the American, or St Louis, Chapter of the Order. Despite earlier attempts, it would not be until 1960 that this heritage would be united once more with the mainstream of the Order through a formal agreement between Wadle and Prince-Abbot Edmond I. 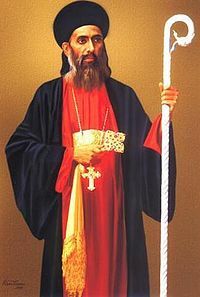 The African Orthodox Church had become the largest and most enduring of the churches founded by Prince-Abbot Joseph III, and its first Patriarch, George Alexander McGuire (Alexander I, 1866-1934), had been a Prince of the Order of the Crown of Thorns. In April 1938 their Archbishop and Primate of the African Province, Mgr. 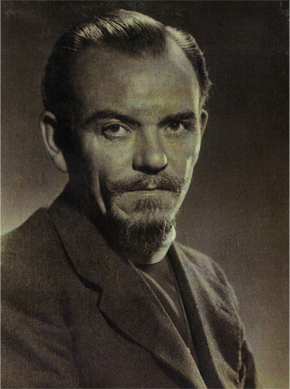 Daniel William Alexander (1882-1970), accepted both of the San Luigi Orders and the distinction of Doctor Christianissimus (he can be seen wearing the insignia in the photograph) from Prince-Abbot Edmond I and became head of the Order of the Crown of Thorns Commandery for South Africa. 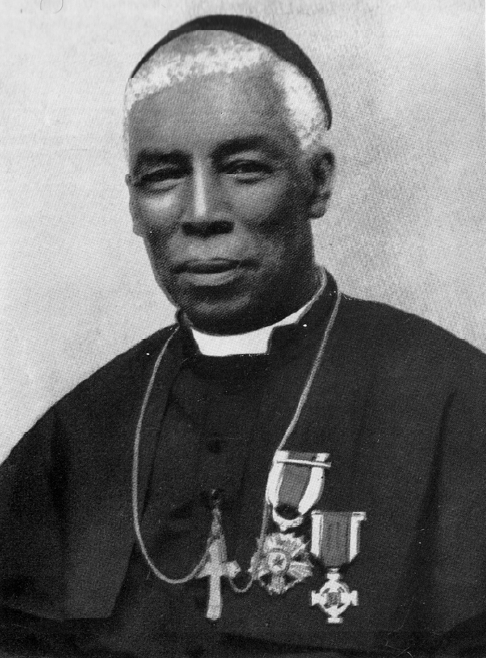 Meanwhile, Mar Kwamin Nsetse Bresi-Ando (Ebenezer Johnson Anderson) (1884-1970), head of the autonomous African Universal Church and a bishop of the English Vilatte succession, was a prominent member resident in the Gold Coast (now Ghana) with a significant lay following. As of 1938, the membership of the Order of the Crown of Thorns included Miron Cristea, the first Patriarch of the Romanian Orthodox Church, Grand Duke Cyril Vladimirovich (pictured left), Head of the Imperial House of Russia, and “many Romanists as well as Orthodox”. The Grand Prix Humanitaire was reported as having been conferred eight times in 1935, twice in 1936 and four times in 1937; recipients included Dr Terpening, a blind chiropractor “who rendered great personal services”, and the singer John Charles Thomas. In 1938 there were around 65 living holders of this award, with a maximum of ten awards per year permitted. Subsequently, the Maharaja of Jaipur accepted the Patronage of the Order of the Lion and the Black Cross and the Grand Prix Humanitaire. The King and Queen of Norway and Prince Franz Joseph II of Liechtenstein also became members of the San Luigi Orders, along with the former American President Herbert Hoover and United States Ambassador to the United Nations Henry Cabot Lodge, Jr. 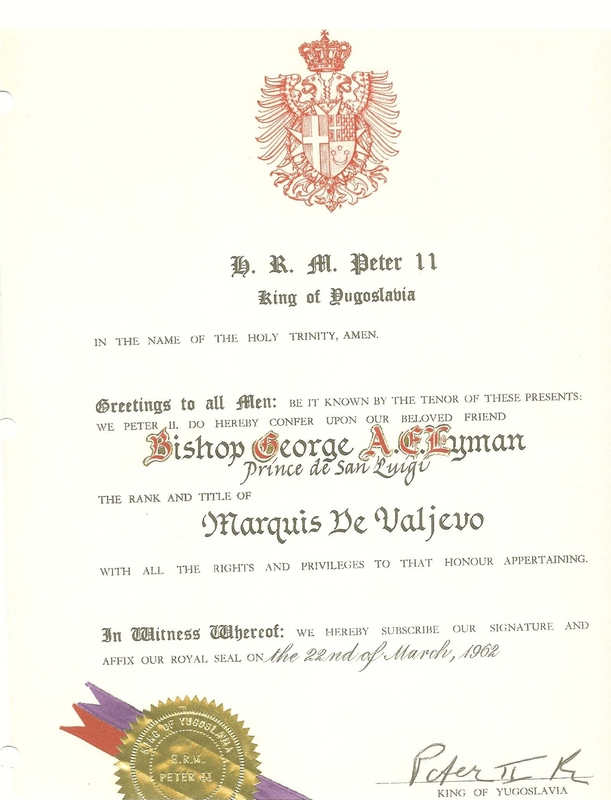 In 1945-46, Mar Georgius of Glastonbury (1905-79), Catholicos of the West, was appointed a Prelat Commandeur of the Order of the Crown of Thorns, Chevalier Grand Officier of the Order of the Lion and Black Cross and Doctor Christianissimus. On 21 August 1950, Isabelo de los Reyes, Jr., Supreme Bishop of the Philippine Independent Church, was admitted to the Order of the Crown of Thorns. On 16 February 1962 Prince-Abbot Edmond I, who was by now suffering from infirmity that made it difficult for him to continue his duties, installed his successor, Count George Arvid Edmond Lyman (regnal name Edmond II) (1938-98) (pictured right) whom he had consecrated bishop on 29 December 1961. 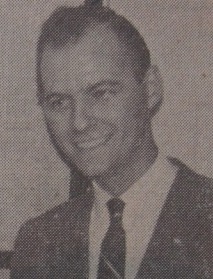 In October 1960, Msgr. Lyman (then Grand Chancellor of the San Luigi Orders) had conferred the Grand Cross of the Order of the Crown of Thorns upon King Frederik IX of Denmark by commission of the Prince-Abbot. In July 1961 the Infante José Eugenio of Spain was admitted to the same order. Prince-Abbot Edmond II’s most important achievement was to obtain full recognition of the title of Prince de San Luigi from King Peter II of Yugoslavia on 22 March 1962. In seeking such recognition from an unquestioned sovereign who had never abdicated and preserved his rights in full, Prince-Abbot Edmond II doubtless sought to draw a line under the French controversy of the early years of the century, which had occasionally resurfaced among those with axes to grind. 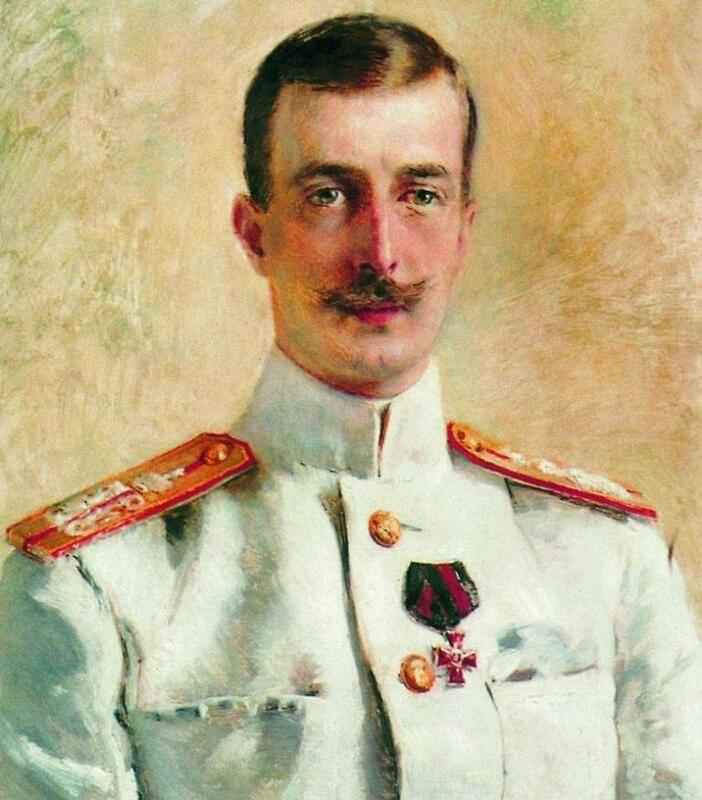 Significantly, King Peter II did not create a new Royal Yugoslav title of Prince de San Luigi, but recognized Prince-Abbot Edmond II as the existing holder of the Principality, also conferring upon him the additional title of Marquis de Valjevo. Such an act of recognition has historically been common practice for titles with a feudal or obscure foundation. From 1960 onwards, each San Luigi order was placed under a High Protector. In the case of the Order of the Crown of Thorns, this was King Peter II of Yugoslavia (pictured left), who had received the Grand Cross of the Order in 1959, and since his death in 1970 this position has been left vacant in his memory. The Order of the Lion and the Black Cross appointed as its High Protector the Crown Prince, now H.I.M. Emperor Akihito of Japan. The Order of Antioch appointed as its High Protector H.I.R.H. Prince Louis Ferdinand of Prussia, who died in 1994, since when this position has been vacant. The Order of Antioch had been founded in 1928 at the direction of Prince-Abbot Joseph III by Archbishop Frederick E.J. Lloyd of the American Catholic Church (a church founded by Prince-Abbot Joseph III in 1915) and admitted clergy in the major orders who could prove their Apostolic Succession from the Syrian Orthodox Church. St. John Churchill Sibley (1858-1938) was appointed Missionary Archbishop and Vicar General of the Order in England. In January 1964, Prince-Abbot Edmond II succeeded Exarch Timothy H.E. 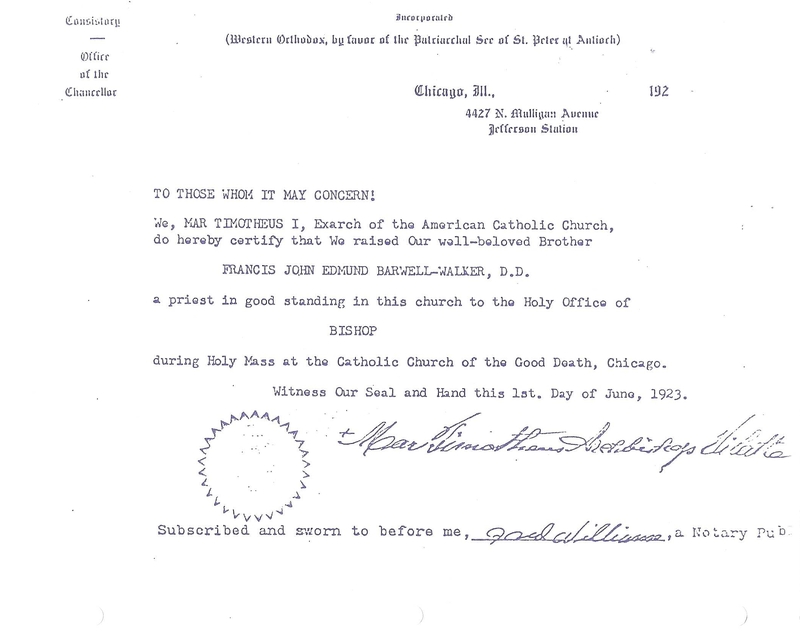 Mather in the legal title of the Order, at which point it was joined to the San Luigi Orders. During the 1970s, Prince-Abbot Edmond II became a bishop of the Apostolic Episcopal Church, Province of the West, alongside his other ecclesiastical offices. Under him the San Luigi Orders were represented in Priories in the United States, continental Europe and the United Kingdom. 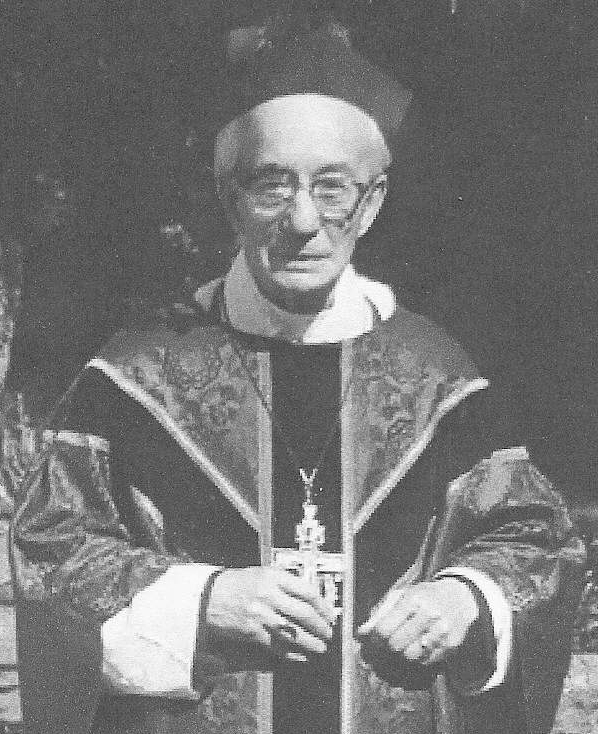 Monsignor George F. Tull of the Old Roman Catholic Church of Great Britain was Grand Prieure of England and Wales (from 1960), Vice-Chancellor for Europe (from 1964) and a member of the Supreme Council (from 1970). 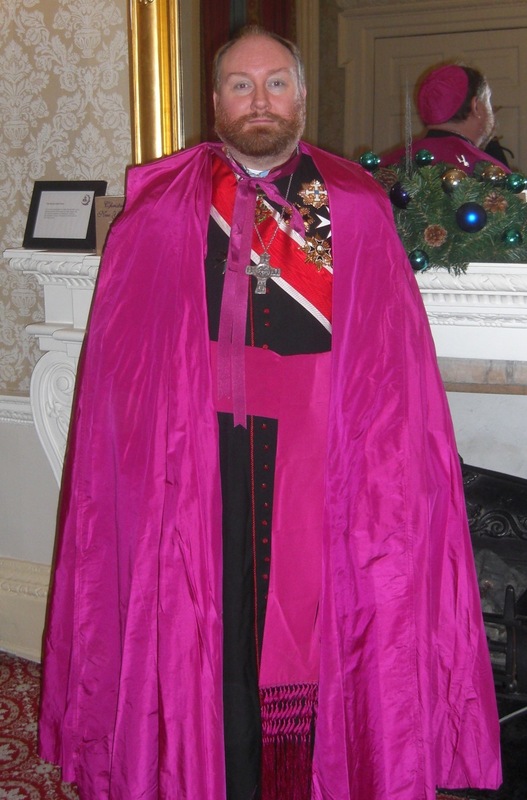 Archbishop Geoffrey Peter Paget King of the same church was a Prelat-Commandeur of the Order of the Crown of Thorns. Before 1960, the Orders had been represented by Archbishop John van Ryswyk (pictured right) of the Apostolic Church of St Peter, and were then based at his lavish private chapel at Eldon Lodge, Kensington. Meanwhile, the Orders in the United States held their ceremonies at the Abbey San Encino in Los Angeles (pictured left), which was then home to singer Jackson Browne, as well as at private homes in Hollywood where Prince-Abbot Edmond II had contact with many personalities involved with the film industry. Unfortunately, Prince-Abbot Edmond II had suffered ill-health since childhood, and from the mid-1980s onwards he endured a period of mental illness that was later to be compounded by the physical effects of cancer. 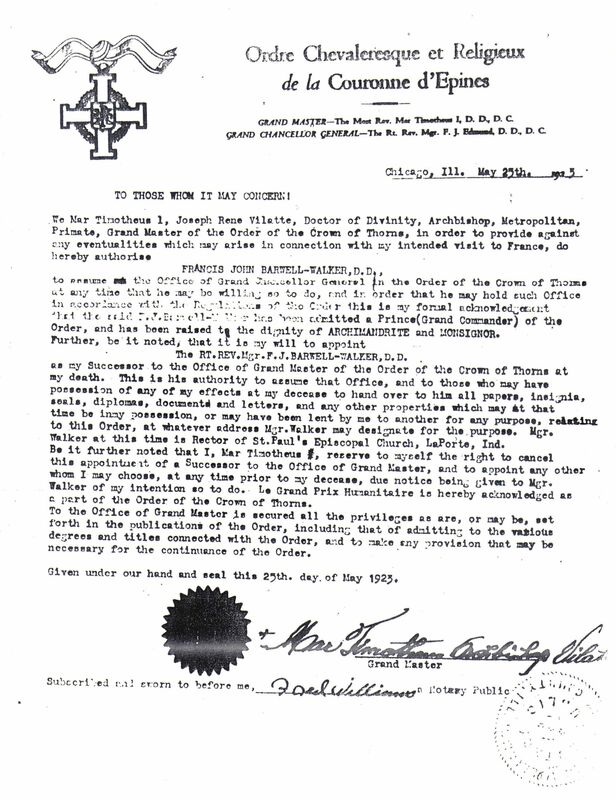 This deprived the Abbey-Principality of his effective leadership, with governance reverting to the Supreme Council under the terms of the Declaration of Prince-Abbot Edmond I of 22 June 1954 (fifth provision, clause relating to incapacity by reason of sickness or infirmity), and brought about a period of stasis and uncertainty that meant that much of the forward momentum of earlier years was lost. However, the Grand Priory of the San Luigi Orders, which was also representative of the Supreme Council from 1970 onwards, had continued to exist in England under Mgr. Tull, as had the episcopal succession in the Antiochean line from Prince-Abbot Edmond II. As the small membership of the Orders in continental Europe died out, and with no provision for the succession having been made by Edmond II, the Grand Priory of England was eventually left as the only canonical and continuous successor of the former Grand Magistry and Supreme Council. The 1954 Declaration established that the right of election to the office of Prince-Abbot now rested with the Supreme Council. These factors enabled the eventual formal restoration of the Abbey-Principality and the election of the current Prince-Abbot and Mukungu, the Most Revd. John Kersey O.C.R., who has served missions of the Apostolic Episcopal Church since 2008 and is in direct episcopal succession from Prince-Abbot Edmond II. His succession as Prince-Abbot was duly endorsed by the Supreme Council on 25 August 2011 and his succession to the title of Mukungu confirmed by H.M. the Omukama of Bunyoro-Kitara on 25 January 2012. His regnal title is Edmond III.